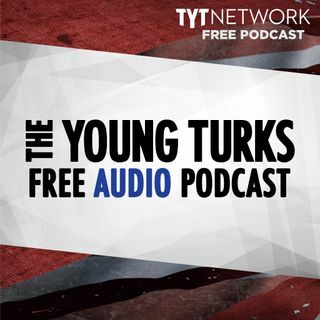 A portion of our Young Turks Main Show from February 16, 2018. For more go to http://www.tytnetwork.com/join. Hour 1: The Federal Bureau of Investigation acknowledged on Friday that some “protocols were not followed” after it obtained a tip in January that Nikolas Cruz, the suspect in the Florida school attack, had the potential of “conducting a school shooting.” “We are still investigating the facts,” FBI Director Christopher Wray said in a statement. “I am committed to getting to the bottom ... See More of what happened in this particular matter, as well as reviewing our processes for responding to information that we receive from the public.” Fox & Friends blames prescription drugs, virtual reality, and the "human condition" for the Florida school shooting. Mitt Romney running for Senate. Segment 2 Cenk, Ana, & Richard Fowler. How many other stories has the National Enquirer covered up to help President Trump? Ronan Farrow's new reporting in The New Yorker forces the question to be asked. But it's a very difficult one to answer because the tabloid is secretive about its practices. Farrow's report highlights a tactic called "catch and kill" -- where a publication buys the rights to a story and then buries the story as a favor to someone. The Enquirer allegedly did this to conceal an extramarital affair by Trump, according to Farrow's report. President Trump, please do something! Do something. Action! We need it now! These kids need safety now!" With tears rolling down her face, Lori Alhadeff screamed into a microphone, glared into a camera, and begged the President to address the nation's deadly gun epidemic. Alhadeff's 14-year-old daughter, Alyssa, was one of 17 people killed during Wednesday's school shooting in Parkland, Florida. Alhadeff's grief was coupled with anger and a demand for answers. Russian-linked bots flooded Twitter with political propaganda in the wake of a deadly school shooting in Florida on Wednesday, according to data from a website tracking Russian activity on the social media site. The website, created by the think tank the German Marshall Fund, tracks the activities of 600 Twitter accounts linked to Russia. And in the days after 17 people were murdered at Marjory Stoneman Douglas High School in Parkland, Florida, the website recorded Russian-linked twitter bots tweeting about Parkland, gun control, Florida and Nikolas Cruz, the alleged shooter.